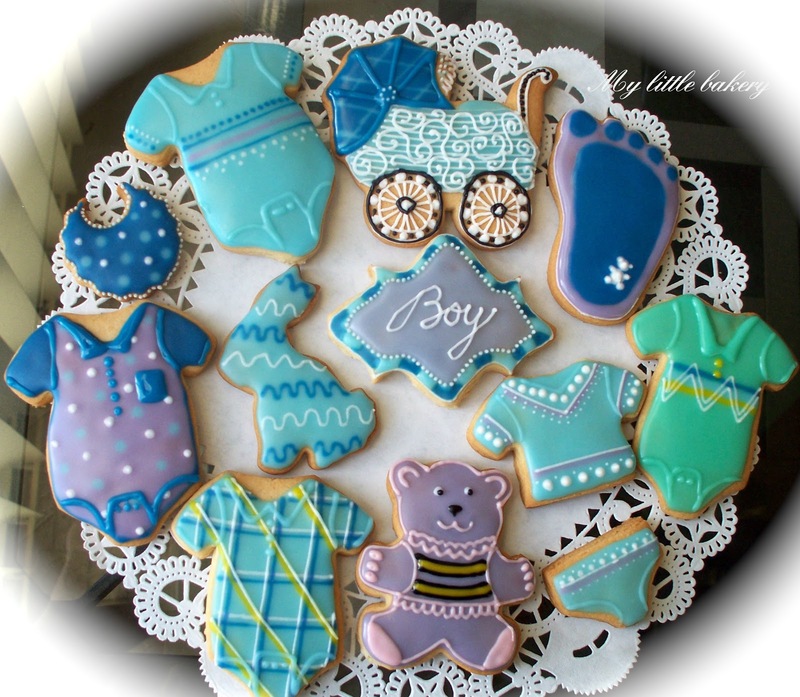 Today I made a set of cookies for a baby boy. Several photos show step by step process of decoration. And also I will share a recipe of sugar cookies that I used today. Cream butter and sugar. Beat in egg, vanilla, & sour cream. Blend in dry ingredients. Preheat oven to 325 degrees. Roll dough to desired thickness. Cut into shapes. Place cookies on un-greased cookie sheet. Bake approx 20 minutes. This recipe yields approximately 30-35 medium cookies. I love baby boys and I love these cookies! Thank you for your beautiful works of art, It actually inspires and blesses me to view your cookies. I have been looking at your work and it is exceptional.